After ensuring he remains at the very top of the featherweight division last night, by taking out Jeremy Stephens, it looks like Jose Aldo isn’t planning to take a quick, turn around bout. Aldo took some heavy shots from Stephens in the co-headliner of UFC on FOX 30, before the former champ dropped “Lil’ Heathen” with a punishing body punch, and finished the fight from above. 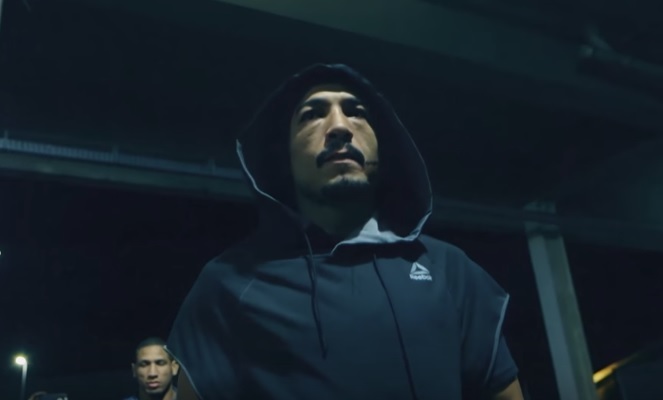 Aldo was fighting for the first time since he was stopped by champ Max Holloway in December, which marked the second time the legend was defeated by the rising star. Aldo was then asked if he’d be interested in fighting at UFC 231, which will take place in Toronto, Ontario, on December 8th. Aldo made his UFC debut in that city back in 2011. With last night’s victory, the 31 year-old Aldo moved his overall record to 27-4.